Prime Minister Tuilaepa Sa’ilele Malielegaoi’s little scrap with his million dollar former Minister Faumuina Tiatia Liuga in Parliament brought back memories. After all these years where Prime Minister Tuilaepa’s commitment to protect Faumuina has been unwavering and as solid as a rock, the idea that they would even entertain a verbal sparring match in Parliament for all to hear would inevitably raise eyebrows. And it did. On the front page of your newspaper yesterday, Tuilaepa and Faumuina’s exchange, which happened at night last week, was there for all to see. The thought that whatever goes up must eventually come down quickly came to mind. 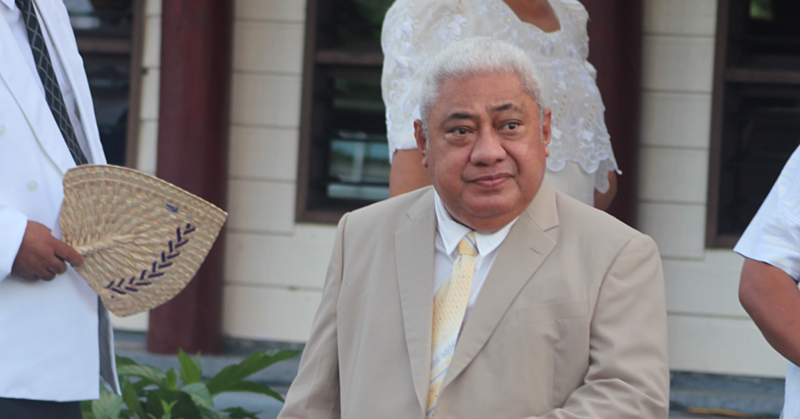 So what spurred Prime Minister Tuilaepa’s outburst? Well he was apparently upset when Faumuina questioned the government’s commitment to the development of Savai’i. Compared to Upolu, Faumuina said there are hardly any opportunities in Savai’i and this is why most people on the big island have migrated. 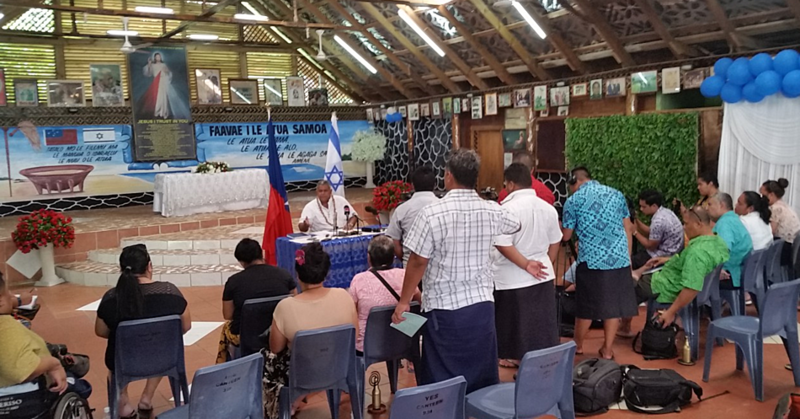 “No business would want to move to Salelologa because it’s very expensive to transport goods from Apia to Savai’i,” said Faumuina. But Faumuina was not finished. Wow. A Savai’i government? Perhaps to be run by Faumuina? Now that did not go down well with Tuilaepa. Firing back, Faumuina said he never had the opportunity to do any of those projects. Faumuina pointed out that he started the construction of the Salelologa wharf when he was a Minister. It was when he moved away from the portfolio that the project was put on hold. And now that is back in Parliament, he is asking the government to finish it. But Tuilaepa was not impressed. “You moved away from where you were and you became the Minister of Finance. That is where you should have continued to push for that project to be completed. Before you say anything further, think about your time. Is there something Prime Minister Tuilaepa is not telling us about Faumuina’s past? Why is Prime Minister Tuilaepa giving Faumuina a veiled threat when we all know he can just let loose on anyone like we’ve become so used to? What is it about Faumuina’s past that Tuilaepa is talking about? And why is the Prime Minister afraid about Faumuina bringing “this (thing) up”? Does Faumuina know something we don’t? Perhaps he does. Ladies and gentlemen, some things in this life can never be easily forgotten. While there are times in our haste to move on when we try to look the other way, these things will always come back to haunt us. Now the exchange between Tuilaepa and Faumuina reminded us about a certain letter from the former Chairman of the Public Accounts Committee, Papali’i Niko Lee Hang, to Prime Minister, Tuilaepa last year. The letter was part of a file of documents in which “documentary evidences” were presented to Prime Minister Tuilaepa to prove that public servants had indeed colluded to defraud public funds at the Samoa Land Corporation (S.L.C), under the guidance of Faumuina as the Minister. Dated 24 January 2015, the letter followed Parliament’s decision to pass the long-awaited government response to the report by the Officers of Parliament Committee (O.P.C). In the O.P.C report, a recommendation was made to take legal action against the public servants in question. In its response, however, Prime Minister Tuilaepa acknowledged the issues raised but assured that remedial actions have been taken by the government to improve its performance. With that, nothing further was said about the recommendation to take legal action against public servants found to have colluded to defraud public funds. Now this had upset Papali’i, who had been vocal against the idea of “corrupt practises” being allowed to fester within the government. So on this occasion, Papali’i went back to the Prime Minister and demanded that he takes another look at the documents the O.P.C had provided. The evidence was overwhelming. Now let’s go back to that wonderful little scrap between Prime Minister Tuilaepa and Faumuina last week. Could this be the “thing” that the Prime Minister was referring to? Could it be that Tuilaepa was so surprised by his former Minister’s tone that he really had to resort to this threatening tactic? As for Faumuina, well he’s a class act, isn’t he? He should be hailed the champion of Savai’i. Come to think of it, you really have to wonder where his love for Savai’i was when he happily lorded over a project that cost taxpayers more than half a million tala for a luxurious heaven on earth office that’s now sitting there idle and useless? What about those other multi-million tala white elephants that should be included in a guide on how not to use public funds? What a joke! But don’t laugh, it’s not funny.